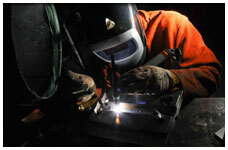 It is SouthWest Specialty Welding’s mission to provide clients with superior products and services by using our extensive experience and knowledge to fulfill their needs. Our commitment is to accomplish our jobs in the most efficient way possible in all areas of industrial fabrication, general or customized welding and services. SWSW welders use their extensive knowledge of the industrial welding to read and interpret blue prints as well as work from sketches and drawings with accuracy. 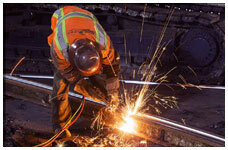 SouthWest Specialty welding includes, but is not limited to piping, pile/foundation and structural welding. Specifically, SWSW has extensive experience working for the oil and gas industries and municipal properties including water treatment plants and highway authorities. 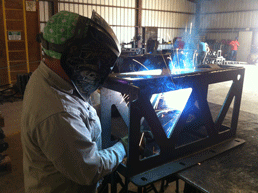 SouthWest Specialty Welding provides custom fabrication, custom machine building, repair and demolition of the entire manufacturing processes. Have something that requires revisions? We can help modify it. Need help developing an idea? Let us help develop your concept. 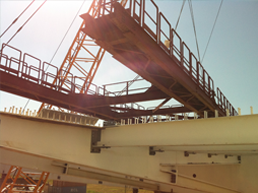 In addition, SWSW offers transport of all your materials and projects. 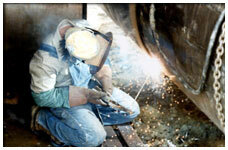 SWSW welders are responsible for using the correct weld for the metal alloy being welded. 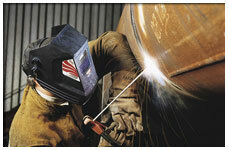 They are also responsible for the quality of the weld they apply as applicable to all metal properties. 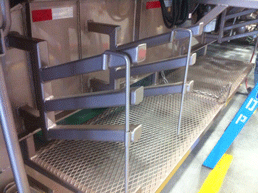 At SouthWest Specialty Welding, we pride ourselves in specialized fabrication. We provide prototyping and full production runs including repair for fittings and installation. Precision automated tools are used to ensure your project specifications are met.